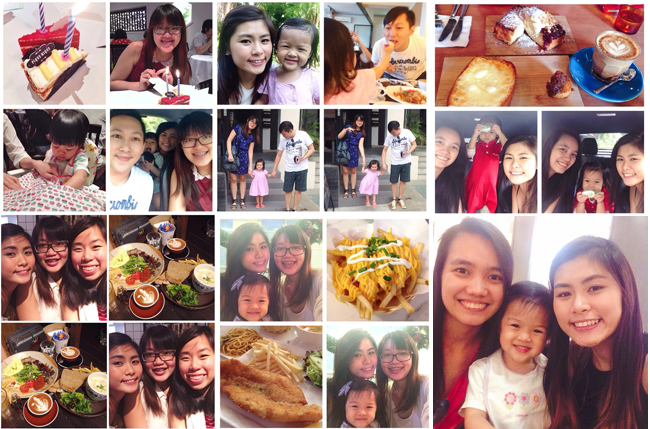 Hello Little Sunshine - Singapore Parenting and Lifestyle Blog: Goodbye 2014, Hello 2015! What what it's already been almost a week into the new year! Eeks, this is how slow I've been D: Well nevertheless, I always like to reflect on life cos I find it to be therapeutic (don't judge!) and just cos I like to remember the moments that count, and also learn from those failing moments. 2014 was quite a different year as compared to the last few years ever since Kaitlin entered our lives. Kaitlin has been such a ray of sunshine and has surprised us in so many ways! From the things she says, the way she behaves and her though process. She has made so much progress in terms of expressing herself and also communicating with others. She even knows how to joke around! She was one of those pretty shy kids, but this year she has started to socialise with her peers and adults aside from us. While there were happy and proud moments, there were also the not-so-good moments. Babygirl threw lots of tantrums. Yes, we went through the whole 'terrible twos' phase. I know every kid has this phase and it's normal, but with all that being normal, mommy over here is also a normal human and ain't no super mom that has a ton of patience. I'm so glad *touch wood* that the phase is over. It was really tough at times, and sometimes even all the patience and all the advice from those numerous google searches just didn't work. It wasn't just the tantrums alone, but as well as other parenting setbacks that made me feel like I wasn't doing a good job as a parent. I felt like no one understood what was really happening and I ended up questioning myself alot and felt so torn and dejected. Many times I questioned my choices and decisions. If they were right, if they were to her benefit, and how could I just make everything better for Kaitlin. Everything from her meals, her activities and to her growing up. I'm glad that things are better now, that Kaitlin understands what we try to communicate to her. I'm thankful for having pockets of time where I could breathe. I wished I could be a better mom and do without those pockets of time, and actually be by her side but I'm not perfect. I rather be calming myself down than to end up losing my temper at her. 2014 was also a year where I took chances, and started to live life as an individual aside from being Kaitlin's mom! After three years, I finally decided to let go and to trust the people around me to look after her. I realised that as much as I want to be there for her always, I too needed space and time to breathe. I too, needed to find back who I was, and to find that balance of being the person that I was prior to having Kaitlin and since becoming a mom. I definitely did have moments where I felt guilty for having time to myself, even to the point where I cried (especially at the beginning). I guess, all along it wasn't just about Kaitlin feeling the anxiety when we are separated, but me as well. I was too uptight and particular with everything concerning Kaitlin that I wanted to be the one to handle it all. I realised though that with me falling ill frequently and having moments where I felt so stressed and tired out that I actually had to learn to breathe and let go. I'm somewhat glad I did cos now I feel like life's better when there's a balance. I'm able to recharge myself and give Kaitlin better care and attention! There were lots of new/fun experiences this year! Like dying my hair again after four years (sorry okay to a mom who has been preggers then breastfeeding for two plus years this is quite whoa! ), the Hello Kitty Race, attending blog events, heading out at night again etc! This year, Daddy Li and I also had our fair share of problems. I don't see a point in hiding it cos life isn't perfect, even though it's common that people tend to portray the better side of life. We definitely hit new lows in our relationship. I'm not saying it's alright or that we are fine with that, but while I did feel drained out from it at times I also realised that it's normal for couples to disagree, it's probably just a question of to what extent. We're in our early twenties, we're young and we have our tempers. We have our way of thinking, and we can be immature at times. We have been together for a few years, and marriage life is definitely different from just being in a relationship. I would be surprised to hear that any relationship has no fights or quarrels. They do happen. What more when you are married, and have lots more to work out together. There were definitely a few events that happened in 2014 that I would never forget. All of which, I never imagined myself to ever do, but that did happen. Some were happy ones, and some were not. All that emo stuff aside, 2014 was still a pretty awesome year!! I'm so very thankful that Kaitlin has been growing up well and for friends that always understand and how we never feel like strangers even though we don't meet up often. Looking back all the new experiences this past year, I'm glad they all happened, and that they happened for a reason. I wouldn't have changed it any other way. Whilst I didn't achieve much this past year - I didn't graduate, I didn't get a promotion nor did I even start working for that to happen nor make a baby, I'm glad that in 2014 I started becoming strong and brave enough to make changes and take chances I never thought I would ever be able to or want to do. I've changed a little and though I've yet to find myself and plan out what it is that I want for the future and I'm probably far from it. Though in 2014, I feel like I'm at least starting to slowly find myself (back). It's definitely not easy, especially with whats been happening the past couple of years. All the extreme ups and downs have at times brought me so much joy and happiness, but at other times have torn me apart and drained me so so much. For 2015, I want to see Kaitlin grow up happy and healthy! That's the first and most important thing to me. 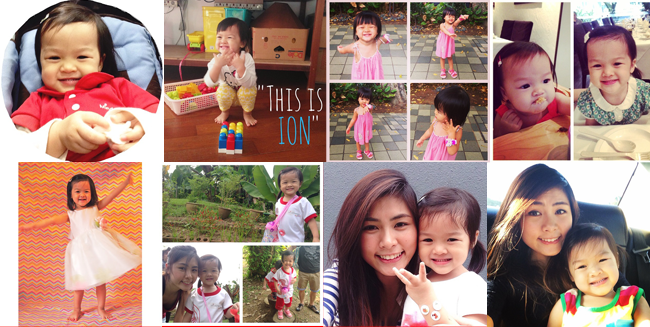 I want to see her enjoy herself in school, learning and at the same time forging friendships with her friends. I want to help her conquer her fears, and be there every step of the way. I want to spend as much time as I can with her, doing lots of activities and continue sharing that mommy-daughter bond with her. With that, I also hope to strike a balance of caring for her and to start doing/work on some things in 2015. In 2015, I hope to see what the reality of life is, and to not always live in denial or brush it off, I hope I'll learn to be more independent and strong as an individual so that I can care better for Kaitlin and myself. Hopefully by the end of 2015, I would have (almost) discovered myself and what I would like in life. Well, who knows right? A lot happened in 2014 and for now 2015 is a mystery. 2015, I'm pretty afraid of how life would be like this coming year, but well since we are already in it, here's to hoping that I would make the best of this year and that there would be more happy moments than angry/emo ones! I got to remind myself, less negativity, more positivity!